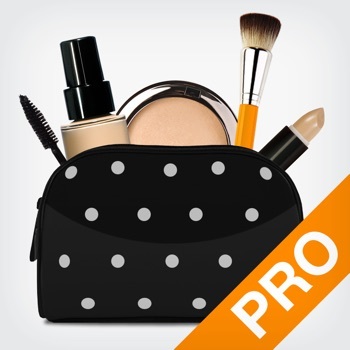 Visage Lab PRO is a professional beauty laboratory for your facial photos. 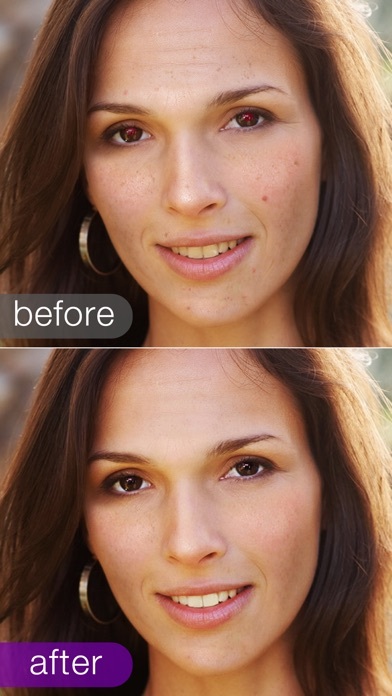 Remove pimples and wrinkles, outline the eyes and whiten the teeth in seconds, with all operations made automatically! Then the eyes need to be enhanced as well: we'll outline them and define the eyelashes. – said the Eye Liner and the Mascara. Of course, cosmetic products cannot speak :) But there is magic of another sort! 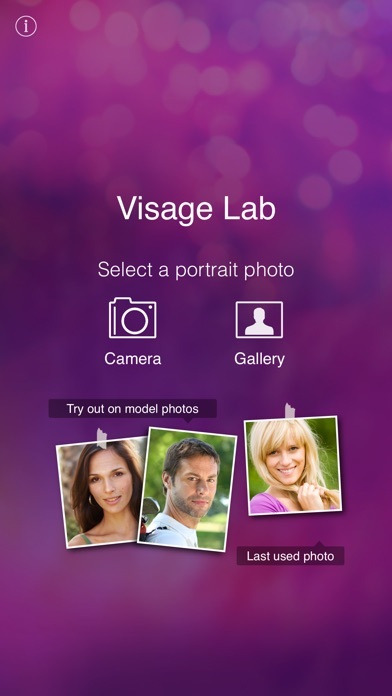 Discover “Visage Lab PRO” app that will enhance a face in a photo with the wave of a magic wand! 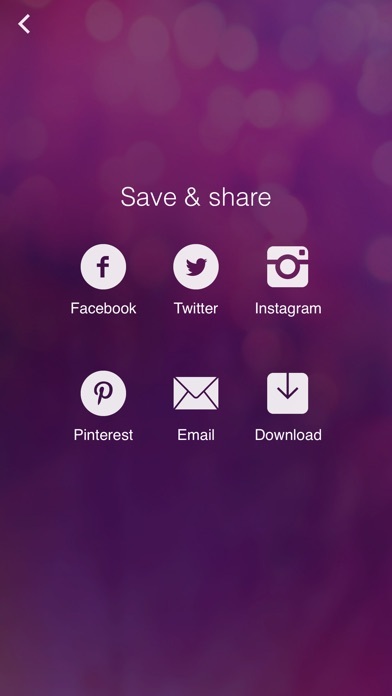 Just select a portrait photo from your iPhone/iPad or make a shot with your camera and let the app do the rest. 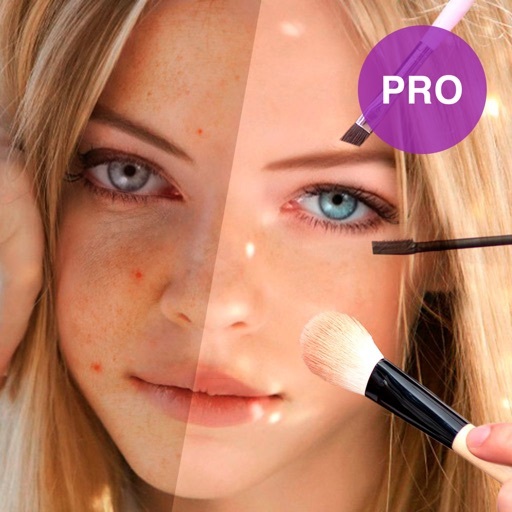 “Visage Lab PRO” applies eye and skin makeup, removes wrinkles and oily glare, whitens the teeth and performs smart color correction in seconds. Besides, it automatically removes red eye, if necessary. You don't have to learn to use complicated software like Photoshop to retouch your photos! P.S. 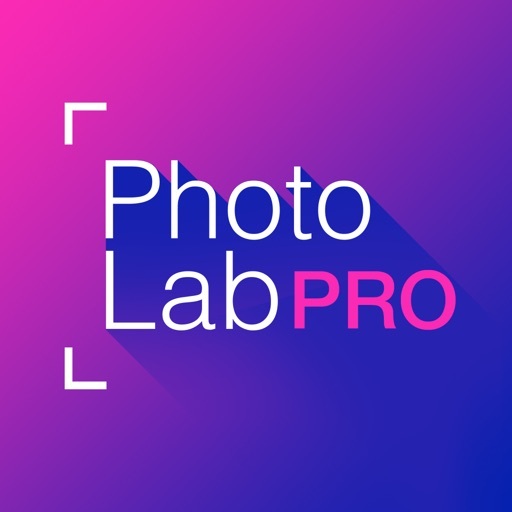 If everybody enhanced their portraits with “Visage Lab PRO”, how beautiful the web world could be! The selfie game is going strong. Are you ready to win and impress with your perfect selfies? Update your Visage lab to get the new effects and filters. There are surprises almost in every category. Just follow the ‘New’ badges upon the templates. Get all the attention and likes!